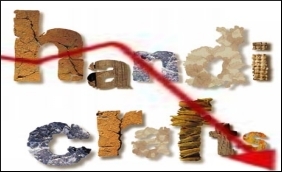 The Goods and Service Tax (GST) Council has reduced the GST rates on 18 handicrafts items which include items like idols of clay, wood, stone, metals, table and kitchenware, paper machie articles, stone inlay work, statues, worked ivory, bone, shell horn items, cotton quilts, brooms and brushes and some natural fibre products. This was informed by the Export Promotion Council for Handicrafts (EPCH), a nodal agency for promotion and development of handicrafts exports from the country, in a press statement recently. On items like idols of clay GST has been reduced from 28 percent to 12 percent. Also people with idol business of worth Rs 20 lakhs do not need to register with GST. Only 5 percent tax on cotton quilts worth up to Rs 1000. Cotton quilts worth more than that will be levied 12 percent tax. And 5 percent tax which was levied on cotton sports has been removed. EPCH has been regularly representing to the GST Council various measures which are required to be taken to facilitate smooth transition of Handicrafts Sector in the GST regime. EPCH had requested for GST rate concessions on various handicrafts items, reduction of GST rates on job work, measures for blockage of working capital funds, issue pertaining to stock in hand, utilization of duty credit scrips, GST on fair participation, GST on foreign agency commission and freight charges paid by exporters etc. Rakesh Kumar, Executive Director, EPCH informed that in its 21st meeting, the GST Council has reduced the GST rates on 18 handicrafts items which include items like idols of clay, wood, stone, metals, table and kitchenware, paper machie articles, stone inlay work, statues, worked ivory, bone, shell horn items, cotton quilts, brooms and brushes and some natural fibre products. Kumar further said EPCH on behalf of exporting community thanked the Hon'ble Union Minister of Textiles, Minister of State for Textiles for their active intervention in the matter in getting the GST rates reduced on 18 handicraft items and thanked to Finance Minister and Hon'ble Prime Minister of India for providing relief under GST rates. "However, there are certain other aspects in the GST pertaining to Handicrafts Sector tor which Council has again represented to the GST Council to consider reduction in GST rates to 5 percent on job workers engaged in handicrafts sector as has been considered for Textile Sector and also reduction in GST rates in items which are of export significance like wooden frames, ceramic articles, brass/copper handicrafts, musical instruments, wooden/wrought iron furniture, handmade pouffes, article of Christmas, smoking pipes etc. and are predominantly exported from the major craft clusters of Jodhpur, Jaipur, Saharanpur and Moradabad," informed Kumar. is there any exemption of GST for handmade paper made purely from the recycle of waste paper ?